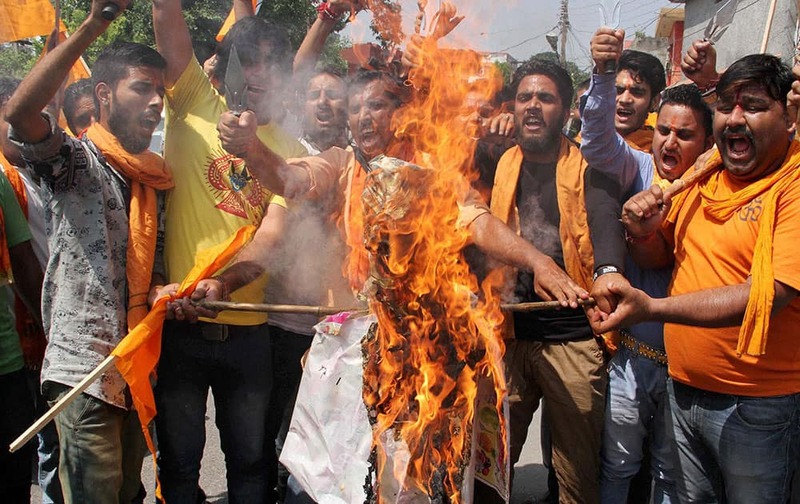 Activists of Bajrang Dal burn an effigy during a protest against the bandh call of Hurriyat and other separatist groups over beef ban, in Jammu. Cadets lift a colleague as they celebrate after a passing out parade at Officers Training Academy (OTA) in Chennai. 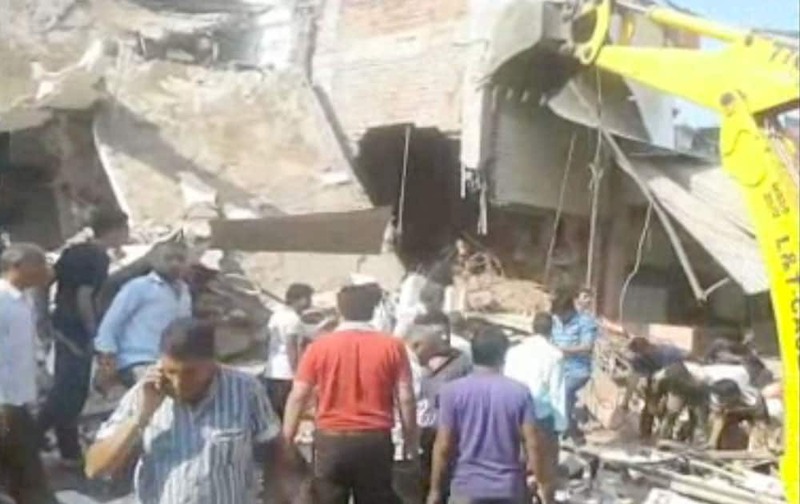 People help at the scene after an explosion at a restaurant, in Petlawad, India. 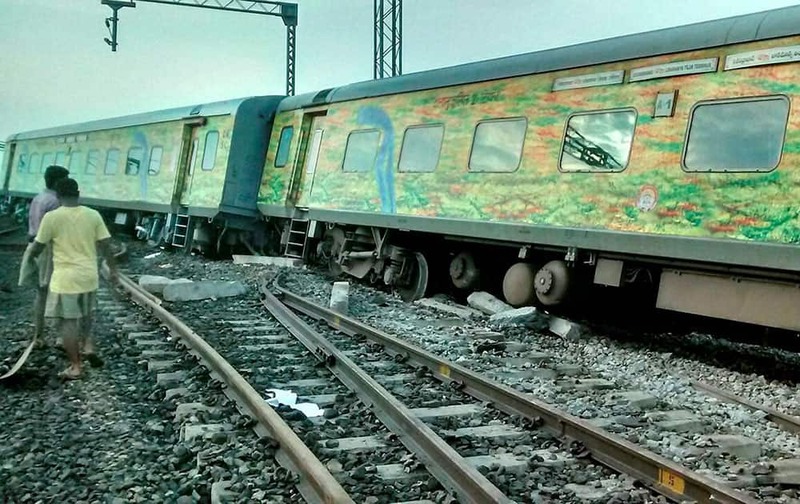 The derailed Secunderabad-LTT Duronto Express at the Martur Railway Station. Border Security Force (BSF) Director General D.K. 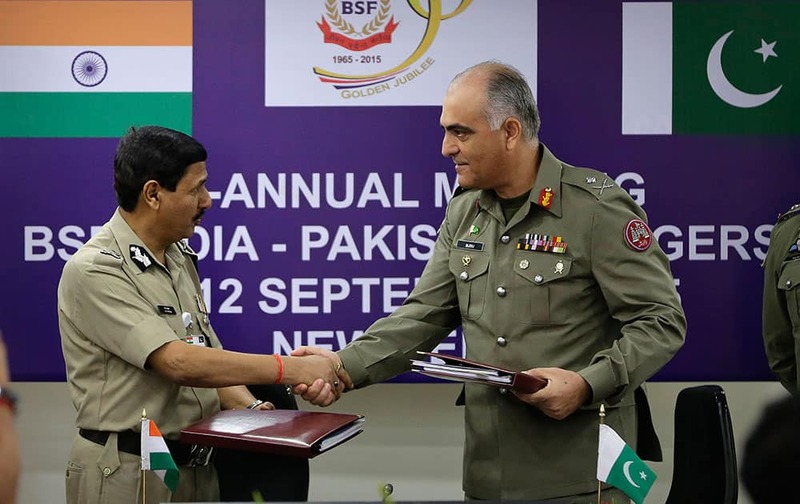 Pathak and Pakistani Rangers Director General (Punjab) Maj. Gen Umar Farooq Burki shake hands as they exchange copies of the joint accord at Indian Border Security Force (BSF) headquarters in New Delhi. ABVP panel candidates celebrate their victory in the Delhi University Students Union elections in New Delhi. 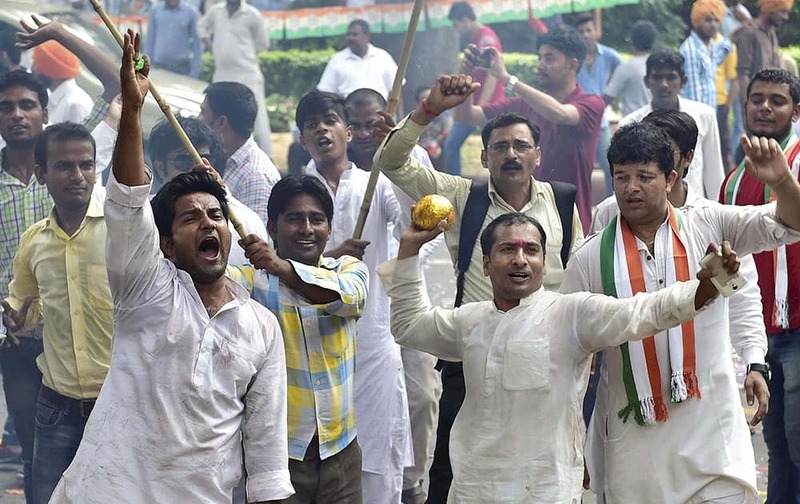 Youth Congress workers celebrate outside party president Sonia Gandhis residence in New Delhi on Saturday for forcing the Narendra Modi government to backtrack on the controversial land bill. 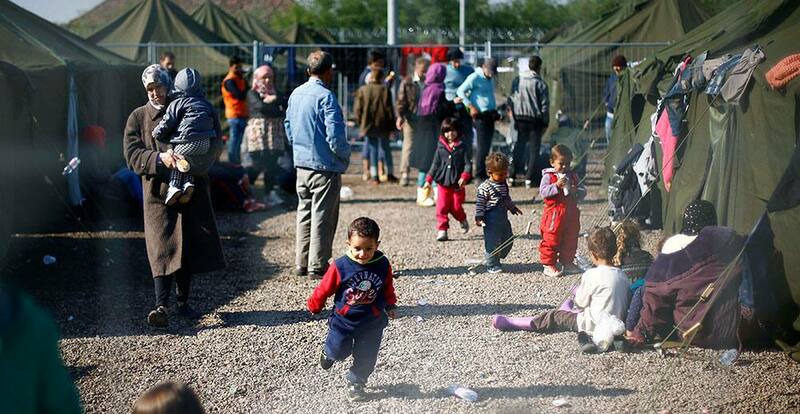 A young boy runs through a temporary holding center for migrants near the border line between Serbia and Hungary in Roszke, southern Hungary in Roszke. 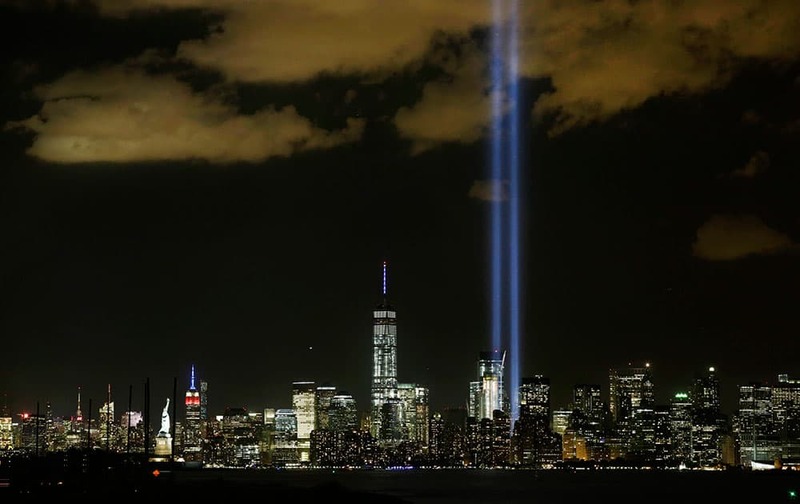 The Tribute in Light rises above the New York skyline and One World Trade Center, in a view from Bayonne, N.J. 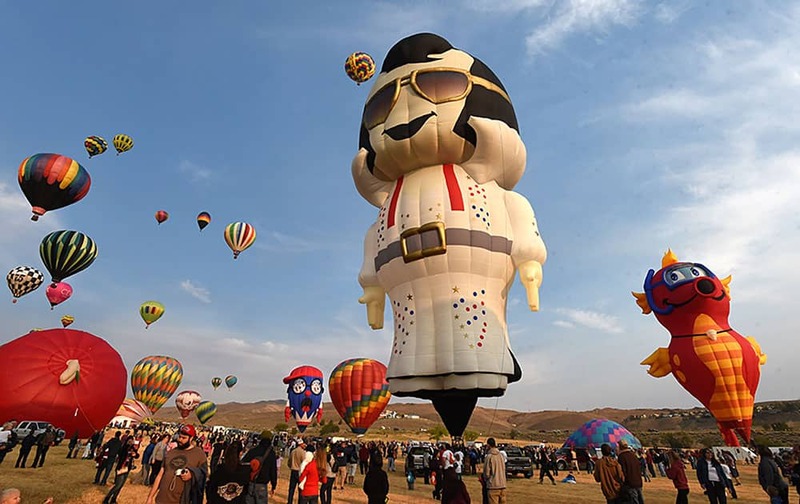 It was the 14th anniversary of the Sept. 11 terror attacks. 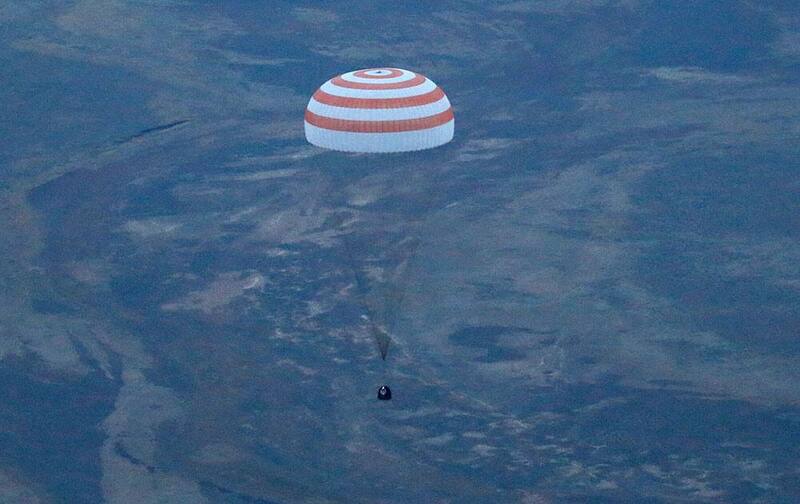 The Russian Soyuz TMA-16M capsule carrying a crew of Russia’s Gennady Padalka, Andreas Mogensen of the European Space Agency and Kazakhstan’s Aidyn Aimbetov prepares to land some 146 kilometers (90 miles) southeast of town of Dzhezkazgan, Kazakhstan. 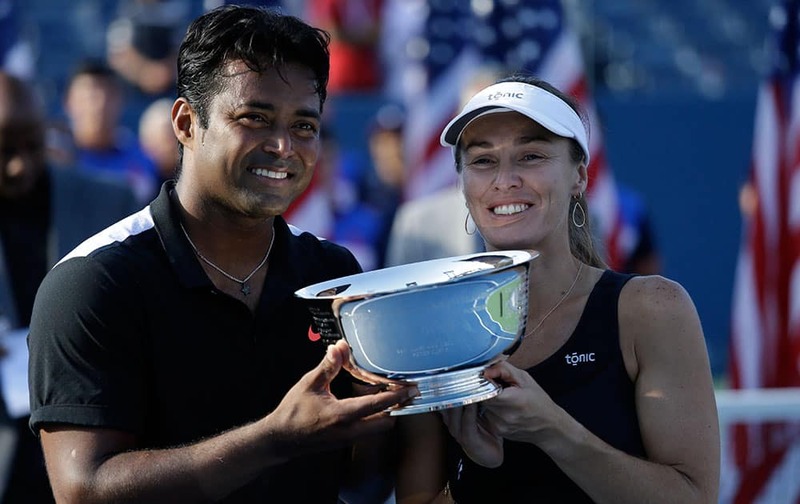 An Elvis balloon stands out at the Great Reno Balloon Race in Reno, Nev.
Leander Paes and Martina Hingis, of Switzerland, pose for a photo after winning the mixed doubles final match against Bethanie Mattek-Sands and Sam Querrey, of the United States, at the US Open tennis tournament. 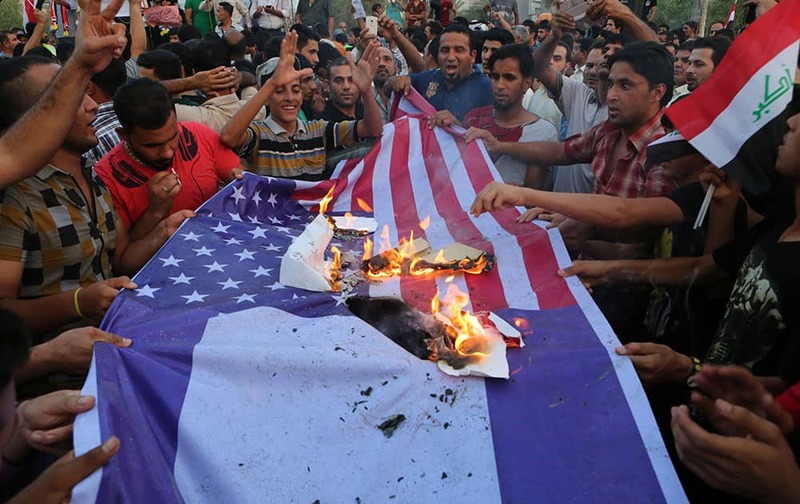 Protesters burn US and Israeli flags during a demonstration against corruption in Basra, 340 miles (550 kilometers) southeast of Baghdad, Iraq. 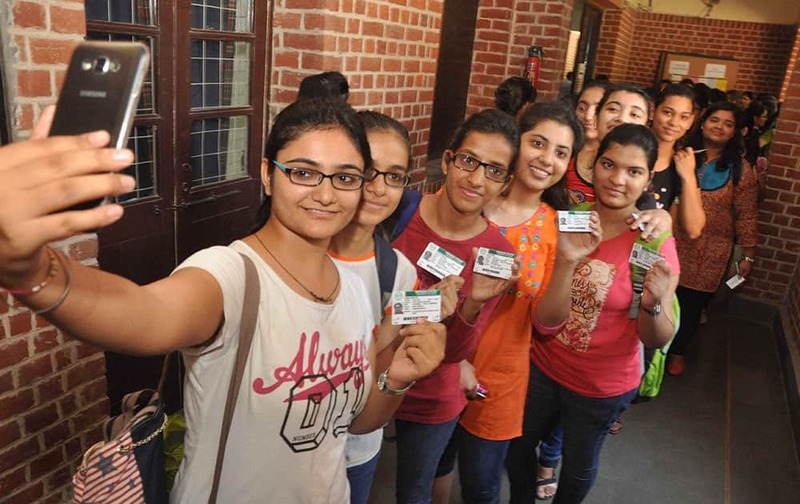 Students wait in a queue to cast their votes during DU elections in New Delhi. Delhi Chief Minister Arvind Kejriwal with actor Kamal Hassan at a meeting in New Delhi. Serena Williams returns a shot to Roberta Vinci, of Italy, during a semifinal match at the US Open tennis tournament. 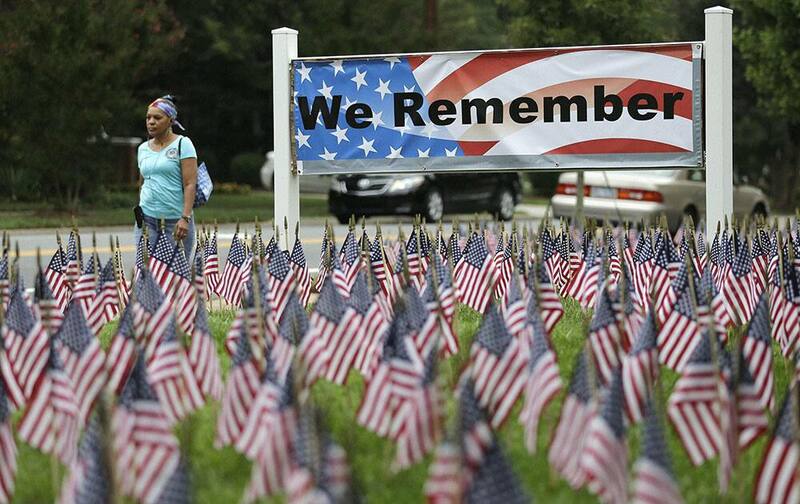 A woman walks past thousands of flags placed to honor of the victims of the 9/11 terrorist attacks in front of Hankins & Whittington Funeral Home in Charlotte, N.C.